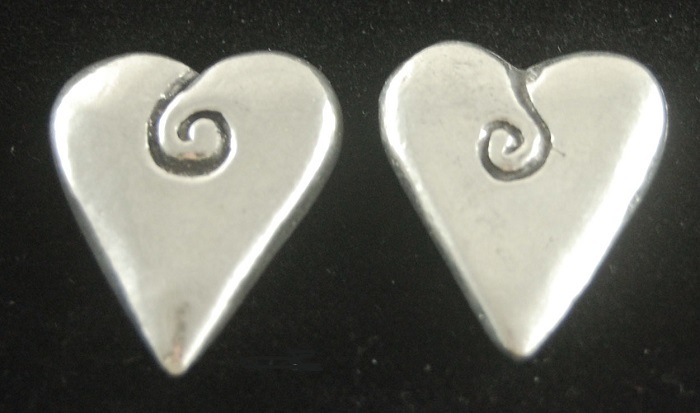 Pewter pocket token is in the shape of a heart with a spiral detail. Pocket token measures approx. 5/8" x 3/4" and is made of pewter. Spiral is on both sides of the heart.